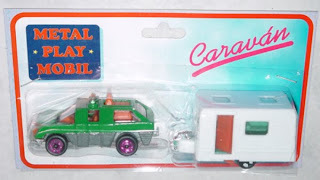 After we finished our stories about the Hungarian diecasts firms we have to take a look at the most important things - the packing. 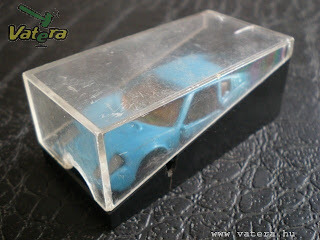 Every company try to use for their goods a visible, flashly, cheap and handy packaging. 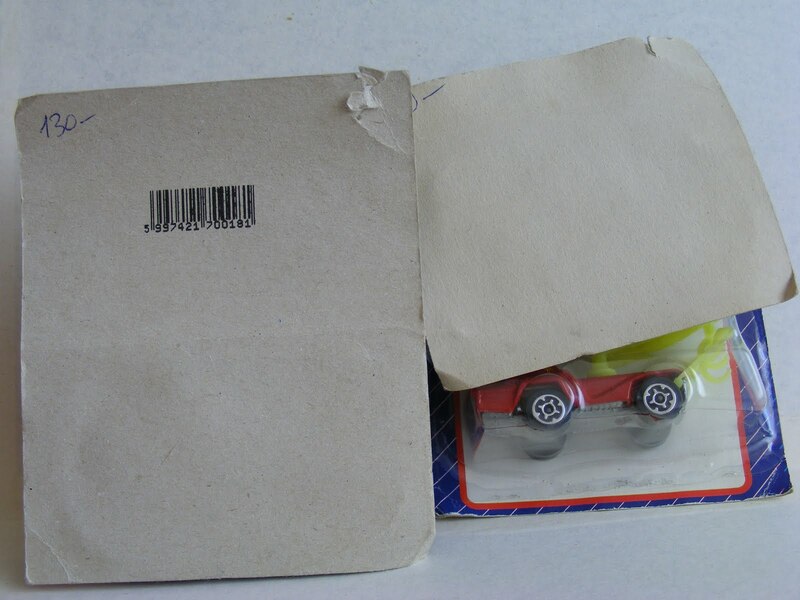 By the way this packing must protect the goods for the mechanical damages also. 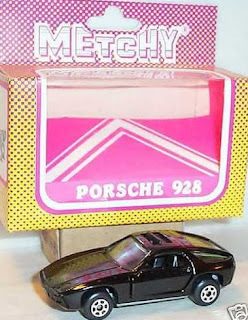 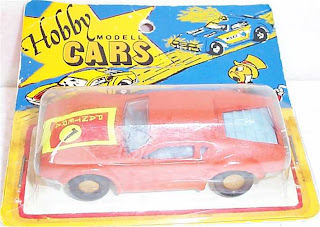 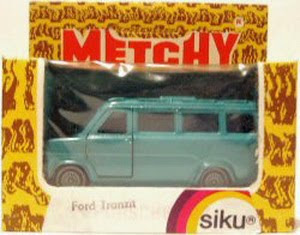 The Hungarian diecast makers and sellers used a wide variation package form. 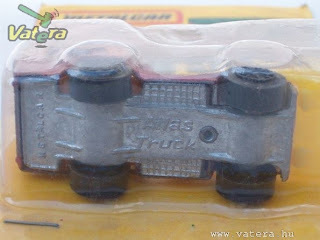 Now we try to clarify which firm use witch packages form at this time. 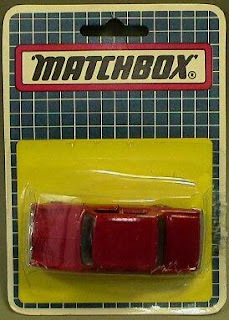 The first MB packages "traditional closed box" came from England. 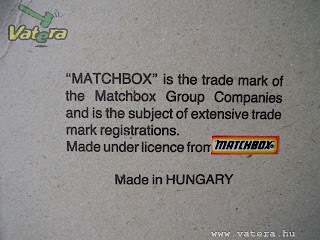 Later on these boxes made in Hungary at the paper-mill in Dunaujvaros (in Hungarian: Dunaújvárosi Papírgyár). 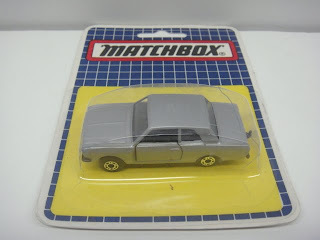 In the domestic market the MB use the blister package, but exist a very few windowed and closed box version too. 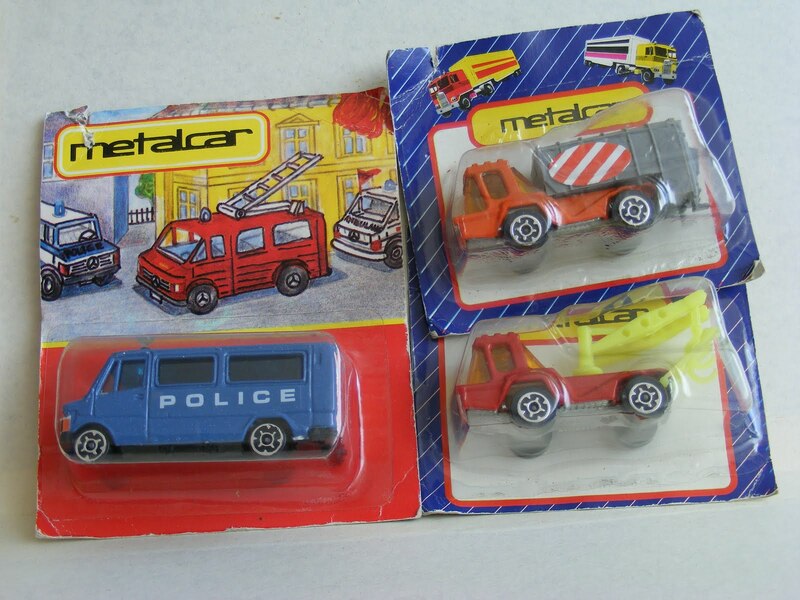 These boxes color, style didn't different than the traditional, normal MB ones. 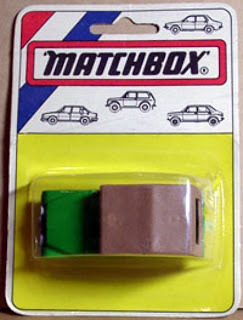 Just the paper type and quality had a different because in Hungary the paper manufacturer didn't use a recycled paper. 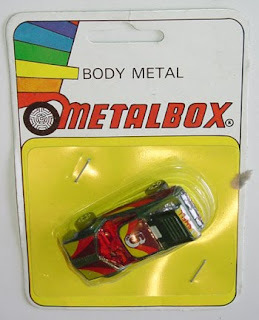 The other MB packaging form is a blistered package. 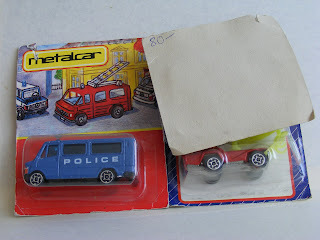 The overall quality of these blister packages are a little poor because in Hungary these products made by the children, not the collectors. 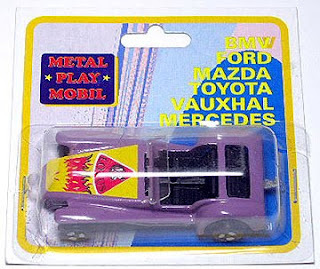 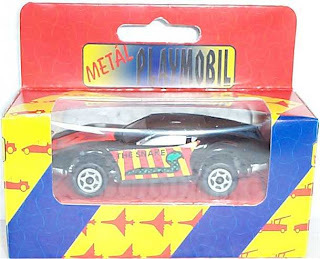 On the blister you can't found any text for example car name, number as usual on the another regular MB blisters. The logo on the paper was different too it is just a bit angled like the Bulgarian copies. 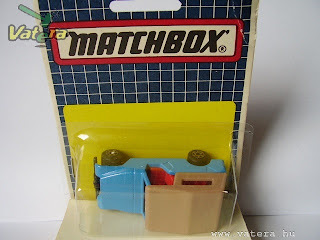 The back of the blister you can see the trademark text with the small Matchbox sticker, because the original text use the Metalbox name instead of the correct Matchbox. 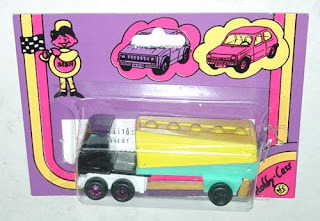 The blister bubble on the paper first times was glued, later on it's just pin on with the stapler. 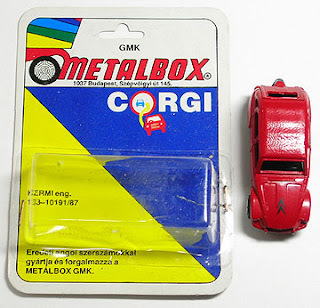 All Corgi model use the same type of blister pack. 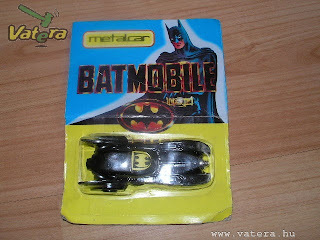 The overall quality is almost same as the Hungarian MB ones. 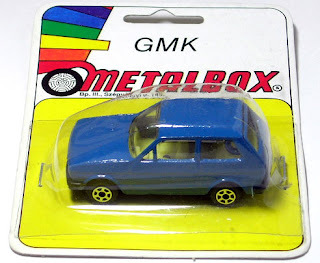 On the blister you can see the Metalbox GMK name at the top. 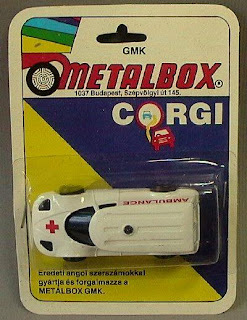 And all Hungarian made Corgi's blisters contain the following text at the bottom "Eredeti angol szerszámokkal gyártja és forgalmazza: METALBOX GMK." 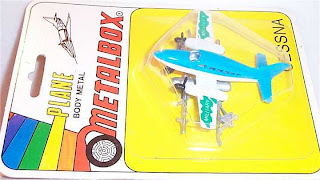 that is mean: Original English tools mint and distribute by the METALBOX GMK." 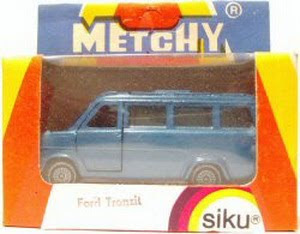 Only these infos are available on the package. The blister bubble on the paper was pin on with the stapler. 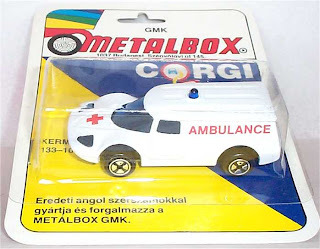 The Hungarian Siku's use an exist general Siku windowed boxes. 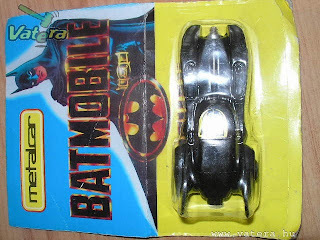 All logos, color and design are untouched. 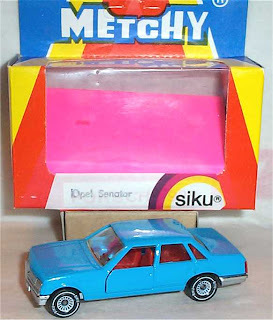 The top of the box has a large Metchy, the left-top corner has a Rexi logo and the right-bottom corner you can see the Siku name as usual. 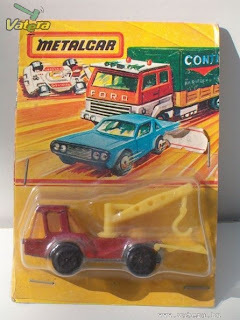 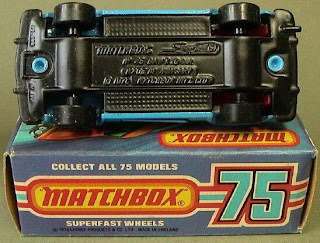 The current car type was stampled at the bottom of the box. 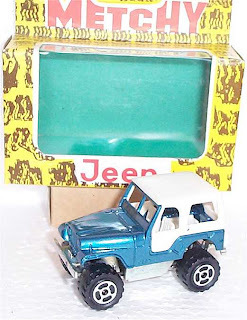 Later on the original text was restampled or redecaled several times with the new model name as well. 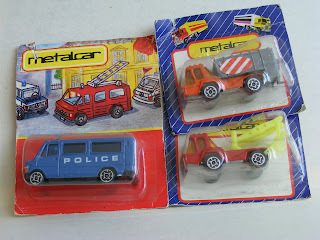 Basically these illegal copies are used a simple blister pack - like the Metalbox ones - except some Metchy and Metal Playmobil cars that use the windowed and a simple box for packaging. 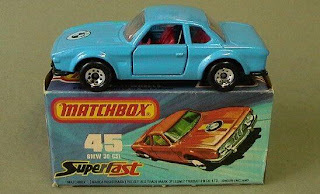 Some model - Ligier JS-2, Hondarora, Abarth's - available in small clear plastic box, but as far as I remember a lot of diecast cars available in the small local shops without package at this time.